Track runner bearings are designed to run in tracks and cam drives. 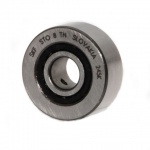 The outer ring on these bearings are thick-walled to accommodate shock loads and bending stress. 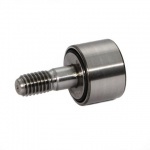 Standard designs have a crowned outer surface which allows for some angular misalignment between the bearing and track. 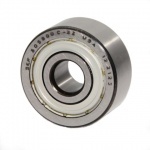 With the exclusion of single row cam rollers these bearings are also available with a cylindrical outer ring.